for another exclusive charity auction. duplicitous foster mother “Mrs. 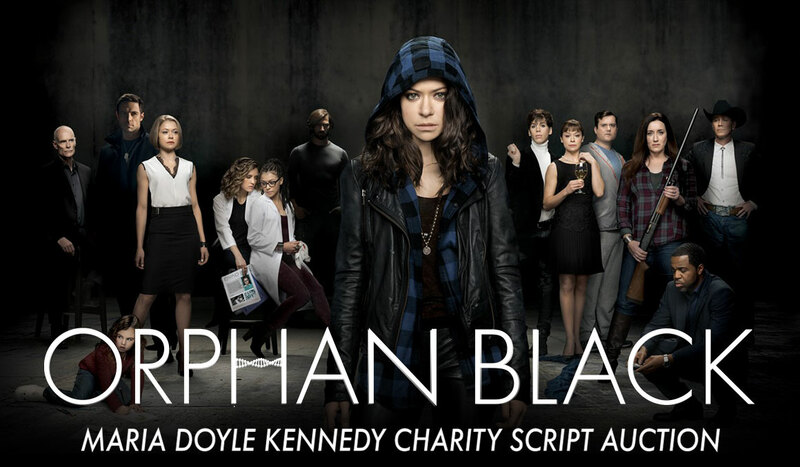 S” in the BBC America dramatic conspiracy thriller, Orphan Black. December 2nd and ending December 9th. 2. A Buyer’s Premium at a rate of 15% will be applied to all winning bids. 4. Payment plans will be available in 1, 2, or 3 month increments. Bidders utilising the payment plan service will be responsible for paying a 20% deposit on their Lots within 7 calendar days of receiving their invoice. The balance will then be split over 1, 2 or 3 months per the Buyer’s selection. 9. Customers will be charged in GBP. These lots are sold under the margin scheme. For buyers within the EEC (private individuals or registered businesses), no VAT will be due on the hammer price; 20% VAT will be due on the Buyer’s premium (as well as Buyer’s Expenses and Credit Card Fee if applicable). When lots are exported outside the EEC (proof of export required or shipped by Prop Store or through Prop Store’s authorised shipper), no VAT is due. 10. The copyright in all images, illustrations and written material produced by or for Prop Store relating to this auction, is and shall remain at all times the property of Prop Store. The copyright in all images, illustrations and written material produced by or for the Studio relating to this auction, is and shall remain at all times the property of the Studio. The copyrighted material shall not be used by the Buyer, nor by anyone else, without Prop Store’s written consent. Prop Store and the Studio make no representation or warranty that the Buyer of a Lot will acquire any copyright or other reproduction rights in it. 18. Please note that the purchase of these items does not include ownership in or to the trademarks registrations, copyrights and/or any other intangible intellectual properties associated with this item. Therefore purchase of this item does not permit the purchaser to replicate or to exploit this item otherwise. All said intellectual property rights remain permanently vested in and with the Studio or its successors. Customers will be charged in GBP. These lots are sold under the margin scheme. For buyers within the EEC (private individuals or registered businesses), no VAT will be due on the hammer price; 20% VAT will be due on the Buyer’s premium (as well as Buyer’s Expenses and Credit Card Fee if applicable). When lots are exported outside the EEC (proof of export required or shipped by Prop Store or through Prop Store’s authorised shipper), no VAT is due. Accepted payment methods are VISA, Mastercard and American Express.